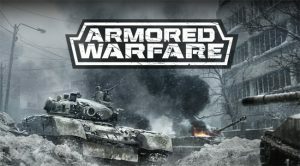 The free-to-play tank combat game, Armored Warfare originally developed by Obsidian, will now be handled by the game’s Russian publisher My.com. Obsidian CEO Feargus Urquhart and My.com Publishing Director Yuri Maslikov both made statements. Obsidian listed its other projects and responsibilities, while My.com assured that support will continue. However,: according to a moderator of the game’s official Reddit – who states to have worked as a design consultant for both companies – competing visions hurt the project. Gatortribe claims that My.com’s parent company MailRU only wished to develop the game in a way that will appeal to users only in the company’s core Russian demographic. In short, Obsidian was tasked to develop a “World of Tanks” clone. “Yes, it was supposed to be as close to World of Tanks as they could get with modern tanks and without getting their asses sued off by Wargaming. Just look at the ‘Limited Technical Alpha’ they had. It was clear to everyone that it was a World of Tanks clone and the backlash from it convinced MailRU that being basically a Chinese knock-off wasn’t going to cut it. The post also stated that MailRU ignored the NA / EU market and that many ways the project was left unpolished in some of its areas. Gatortribe claims that his team’s feedback barely made it into the game. Apparently Obsidian’s contract was canceled by MailRU, even though the RPG studio was prepared to continue on developing the game. This news comes after reports back in December that an undisclosed number of Obsidian staff were laid off, apparently, they were working on this project.